Read aloud stories and book-based activities for kids 0-5. Held on the 1st and 3rd Wednesdays each month at 9:30 a.m. during the school year (September - May). Exceptions or special dates are noted on the schedule graphic below. 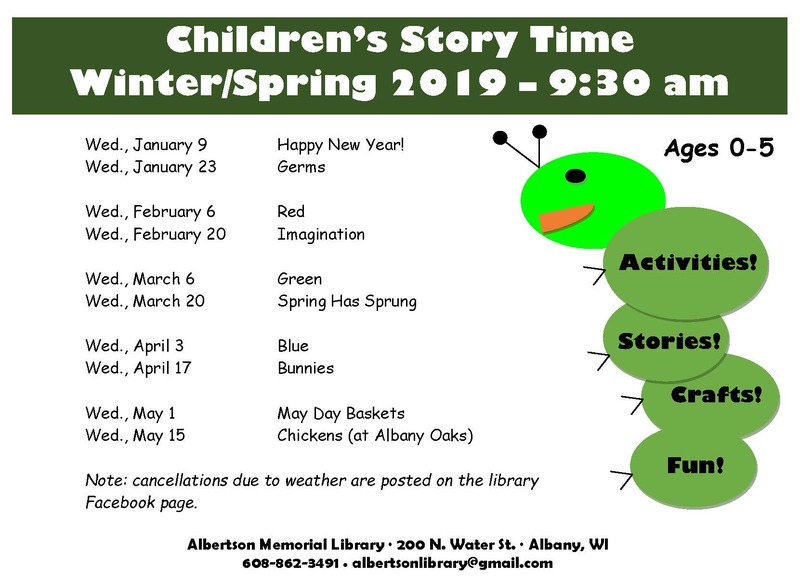 If school is cancelled due to weather, storytime is cancelled. If school has a 2-hour delay, storytime starts at 10:00 am.